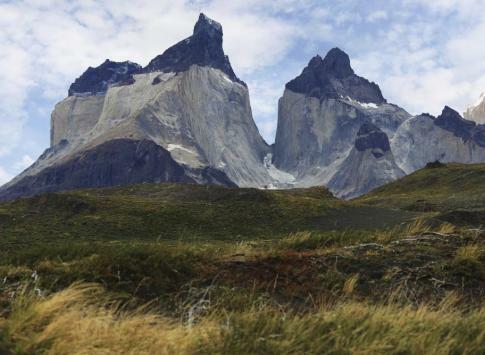 Torres del Paine is one of the world's top trekking and wilderness destinations, and Adventure Life's Patagonia experts can help design the perfect adventure. Hike among towering granite spires and blue glaciated lakes for up to six days on the classic W Trek. 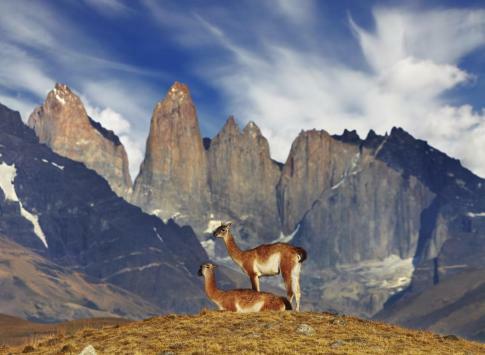 Take a Patagonia Wildlife Safari to Magdalena Island, home to over 100,000 Magellanic penguins, and view llama-like guanacos with the granite glacier-carved spires of the Torres as a backdrop. Sea kayak alongside blue glaciers and icebergs, and take bike and horseback rides with breathtaking 360 degree vistas on a multisport adventure, At the end of the day, relax in a luxurious eco-lodge like Awasi, taking in panoramic views of the Torres in front of the fireplace sipping Chilean wine. Contact us to start planning your trip to Torres del Paine today. Patagonia Camp is located on the shores of enormous Lake Toro and facing the Paine Massif, only 15 km from the Torres Del Paine Park’s administration center and close to the the main attractions that have made Torres del Paine world famous. Enjoy trekking, light hiking, fishing, kayaking as you explore Chile's famed National Park. For those who are short on time but big on adventure, take advantage of our quick Torres del Paine extension. 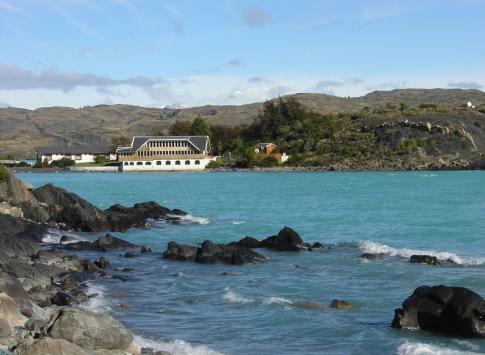 Rest and relax at Hotel del Paine or adventure through Torres del Paine National Park. 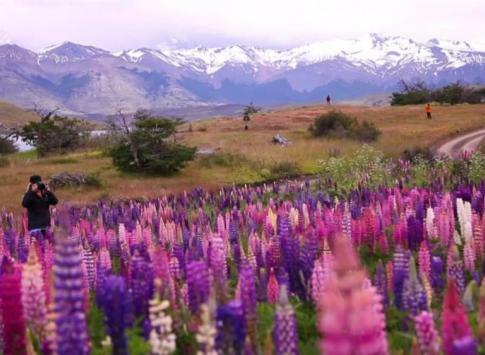 Hike in gorgeous landscapes and jagged glaciated ranges as you explore vast expanses on this Patagonia tour. Impossibly beautiful landscapes are everywhere you look in Torres del Paine National Park, especially if you're hiking or trekking off the beaten path. These spots are accessible with day hikes or short excursions from your vehicle and give you a glance at the best of the Torres. Hike to Mirador Los Torres, with the three spires aboveTorre Sur, Central y Norte and bright blue lake. A full day hike. Cuernos del Paine can be viewed from the southern side of the park. Approach the base from the Italian camp. Salto Grande waterfall connects the two lakes (Nordenskjold & Pehoe), the first being higher elevation. Lago Grey is popular for boating or kayaking next to glowing blue icebergs & glaciers crumbling into the lake. Lago Pehoe is in the middle of the park with some of the best 360 degree views of the National Park. These hand-picked hotels & lodges have been chosen for their exceptional service, local personality, and easy access to the top attractions in Torres del Paine. In any one of these world class hotels or lodges, you will feel all the comforts of home while experiencing the untamed nature of these isolated southern mountains. Torres del Paine are remote. Most travelers fly into either Santiago, Chile (SCL), or Buenos Aires Argentina (EZE). From Chile, the logistics are straight forward, while from Argentina, the road gets complicated. From Santiago, you'll need to fly 3 hours south into Punta Arenas Airport (PUQ) where you will likely stay the night in a hotel in the city. From Punta Arenas, it's about a 3 hour drive to Puerto Natales, and then another 2 hours to Torres del Paine National Park. If you're coming from Argentine Patagonia, there are 4 flights per week out of Ushuaia to Punta Arenas. It's possible to take a bus or car between Ushuaia or El Calafate, but it's very long and includes a ferry ride across the Strait of Magellan. Contact one of our Torres del Paine travel specialists for help planning all the logistics of your dream trip to Patagonia.